This entry was posted in CrossFit and tagged mobility stability strength on April 29, 2016 by Jennifer L. Bearse. Check out my updated blog post “The Importance of Mobility and Stability for Maximal Power and Strength!” for Alpha Project Strength & Conditioning in San Mateo! 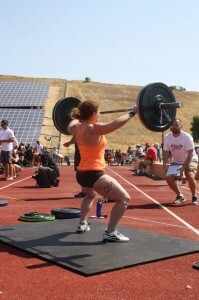 This entry was posted in CrossFit Sports Injury and tagged CrossFit functional fitness global engagement kipping pull ups on April 29, 2014 by Jennifer L. Bearse. This entry was posted in Competition CrossFit Olympic Lifting Outlaw CrossFit Training Camp Uncategorized and tagged competition CrossFit olympic lifting Outlaw CrossFit Training Camp on October 4, 2013 by Jennifer L. Bearse. 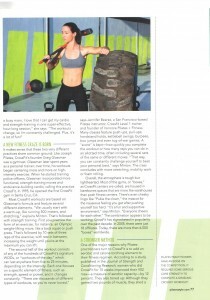 West Bay CrossFit’s newest coach! This entry was posted in Uncategorized on September 23, 2013 by Jennifer L. Bearse. 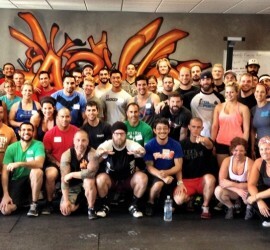 I’m excited to join the team at West Bay CrossFit in San Rafael, CA! 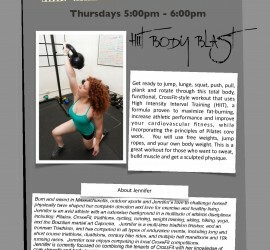 Please join me for a WOD sometime soon. This entry was posted in Core CrossFit Pilates Pilates and CrossFit The Paleo and Primal Diet and tagged CrossFit functional fitness fundamental movements general physical preparedness pilates on July 26, 2013 by Jennifer L. Bearse. General Physical Preparedness for life– the goal of CrossFit and Pilates! Not sure what that means? Check out the link below! What’s great about Pilates? Part 4 « paleolates.